Well it’s been a pleasure to add another fine book to my 9/11 collection, which began with Peter Dale Scott’s “The Road To 9/11”. Enough time and investigation has gone by that, much like the Kennedy assassinations we actually know quite a bit about how things went down – or at least what did not go down. 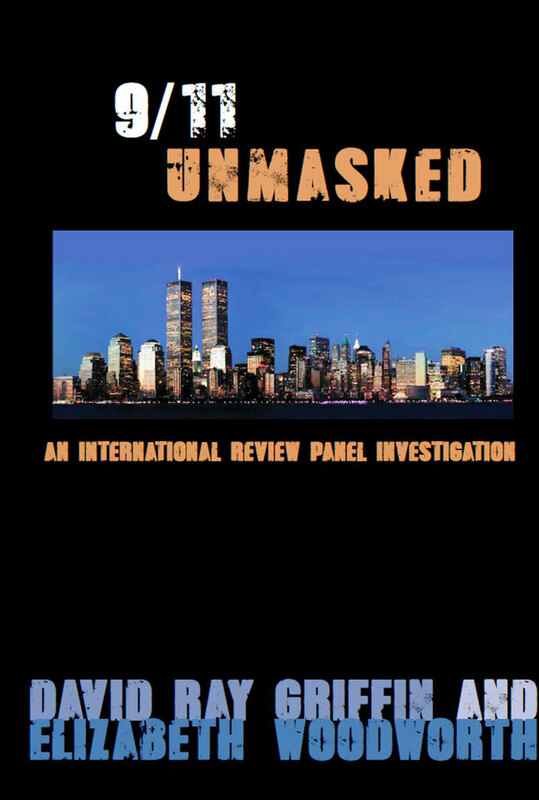 With that in mind, we now look at “9/11 Unmasked – An International Review Panel Investigation” by David Ray Griffin and Elizabeth Woodworth. The book is one of the latest, published in 2018, is the result of a six-year investigation by 23 experts in science, engineering and crash investigation. As stated above, one could look at this presentation as “what did not happen“. That is, each short chapter lays out 1. The Official Account, 2. The Best Evidence 3. The Conclusion. In every case, the “Best Evidence” directly contradicts the “Official Account”. This book is not written in narrative form, but more in a point-counterpoint format. It’s a very succinct set of talking points that debunk the official story about the most powerful attack on the U.S. mainland in history. The compact nature of each chapter allows one to simply pick up the book at any chapter and in three to five minutes have a whole new understanding of “what did not happen“. All these things and many, many more are debunked using no less than 875 footnotes which compose a book all in itself. If I could provide a bit of mild criticism, I would suggest it might have made sense to begin with profiling of the hijackers, apparent foreknowledge of the events, and the fact that drills were being war-gamed with false hijackings overlaying the actual event. I simply feel too much emphasis is placed on the reason for the collapse of the buildings, a debate that will probably never be solved. There’s a lot of other meat to dig into. That said, I learned quite a bit about how civilian and military officials responded and behaved on that terrible day. Much was revealed about the likely shoot-down of flight 93, the impossibility of phone communication from the planes to emergency centers, and the surprising revelation that there were two Mohammed Atta’s. This is a great book to add to your 9/11 collection, written in a completely different style than any other 9/11 account I have read yet. It’s also a great quick reference for settling disagreements on the sequence of events and whether certain versions of the official story were even possible. This entry was posted on January 20, 2019 at 9:49 pm and is filed under 9/11, Book review. You can follow any responses to this entry through the RSS 2.0 feed.